Nanne joined Wegman Partners in 2013. 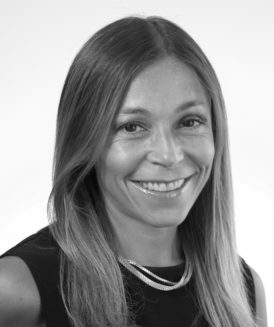 Nanne is a charter member and Director of Legal Recruiting in Wegman Partner’s NYC offices, bringing fifteen years of industry experience to the Wegman Partner’s brand. She graduated with a BA in Philosophy, Politics & Law from Binghamton University and completed her Juris Doctor from New York Law School. Her quest to pursue a non-traditional legal career, merging her educational background and strong business acumen, led her to a successful career in staffing. She specializes in the placement of Contract & Permanent Attorneys, Paralegals & Support Staff on a national level. As a seasoned recruiter, Nanne believes while it is crucial to stay abreast of new & creative talent acquisition methods in the evolving world of social media, it is equally essential to establish a close rapport with her candidates and understand the forces that truly motivate them. It is this unique ability to nurture & maintain mutually beneficial relationships that enables her to consistently deliver results, and why clients trust her with their hiring needs. Nanne currently resides in Port Washington, NY with her husband Josh and two children, Jakob & Skylar.